We have a great selection of RV power outlets to meet your campground or park needs. 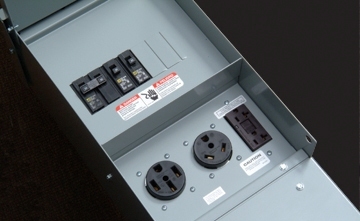 Our power outlets include, surface mounts, surface mount metered, RV power panels, RV pedestals (also known as RV electrical pedestals), mobile home and RV Metered pedestals and lighted units (factory installed .5 watt LED site light). 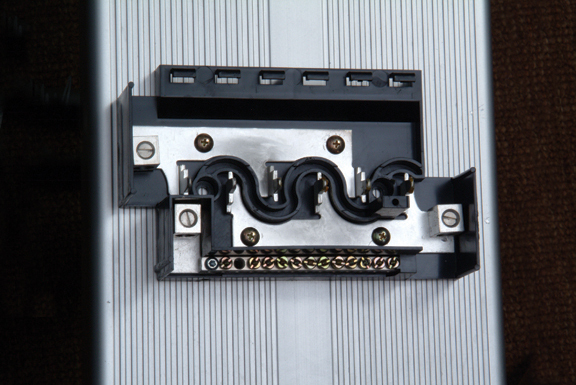 RV Power Outlets are manufactured in the USA providing the highest quality, durable and user friendly power outlet line. If you do not see what you are looking for, please email us and we will get you a quote. Choose receptacles (50 amp 125/250 V, 30 amp 125 V, 20 amp 125V), choose style (surface mount, pad mount, pedestal, back-to-back pedestal or mobile service with 20 amp, 125V), choose (unmetered, metered ringless or metered ring), and if you want unit with small rectangular site identification light. Product picture shows RV pedestal with surface mount bracket attached to dark surface. Loop feed lugs on all pedestals up to 350 MCM wire. 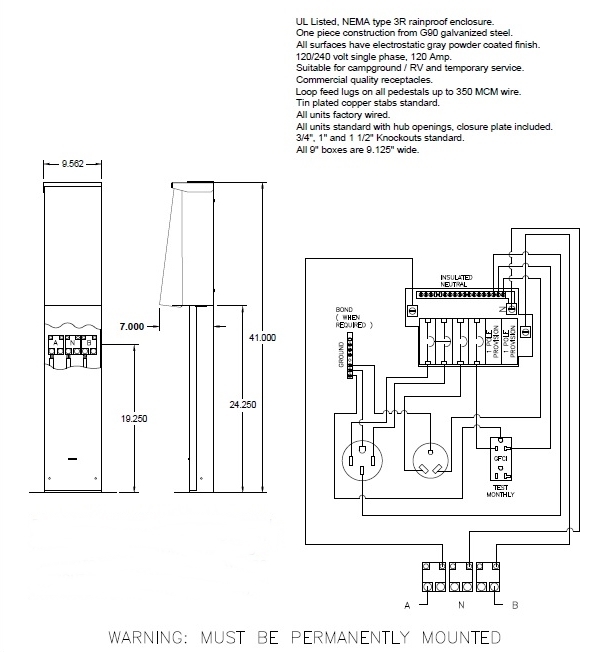 Our CA380 lug in our loop feed lug assembly is 600 volts. 250 amps for aluminum. 310 amps for copper. 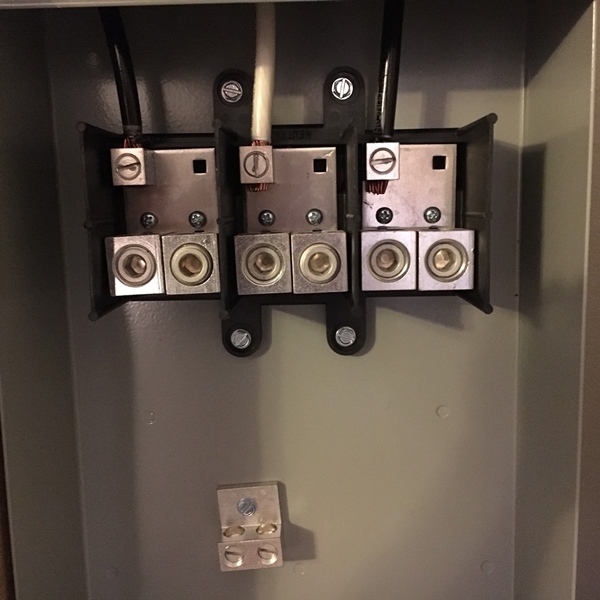 Pad mount RV power box is meant to be installed on a concrete pad. 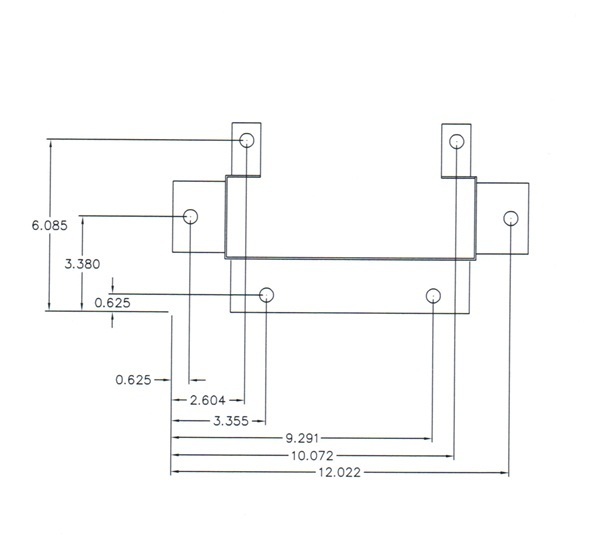 See below for mounting bracket specs. Manufactured in the U.S.A. to keep Americans working. 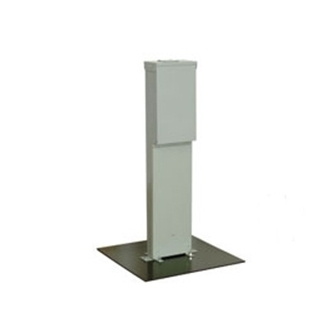 Go to top of this 50, 30, 20 amp RV Pedestal with Pad Mount Bracket page.